The Peter Cullen Trust offers organisations the opportunity to sponsor a limited number of participants on the Science to Policy and Women in Water Leadership Programs. These unique programs are specifically geared towards enhancing positive work in water and catchment management, policy and practice across Australia. This is your opportunity to participate in one or both of these established, proven and respected programs, allowing your organisation to demonstrate commitment to sustainability whilst building capacity and raising your profile. Sponsors typically nominate candidates who are an asset to their organisation. Sponsored participants are usually mid career ‘rising stars’ whose professional development is an astute investment for the sponsoring organisation. The Trust targets passionate, intelligent, motivated people, with a history of success and the skills they develop are invaluable. To enquire about sponsorship opportunities for future years’ programs, please contact the Trust’s CEO as below. Joint sponsors share the cost of sponsorship with other organisations. This then enables some approved, medium-size organisations to access this extraordinary opportunity. To find out more about this opportunity, please contact the Trust. The Peter Cullen Trust’s unique Science to Policy Leadership Program focuses on leadership and communication skills specifically geared towards bringing about positive change in water and catchment management in Australia. 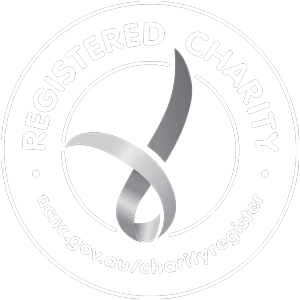 Sponsoring a program participant means having a member of your own organisation trained and granted a Fellowship on successful completion of the program. This will benefit your organisation because, as these key staff members enhance their skills, they will share what they have learnt and build relationships across the water/environment sector. As a sponsoring employer, you can put forward potential participants from your teams, building organisational capacity by developing key people in key positions. The Trust co-brands Fellowships with sponsors. A number of well-known corporations, government departments and community organisations have co-branded in this way with the Peter Cullen Water & Environment Trust. Sponsorship is acknowledged in publicity about the Trust (newsletters and media). The Trust’s materials/publications that are distributed at conferences acknowledge sponsors. Publications include the newsletter BRIDGING, the annual report and website, fliers and handouts. Sponsorships are prominently acknowledged at the Fellows’ graduation events, which are attended by water industry leaders in business, government and education. One ticket to these prestigious annual events and their networking opportunities is complimentary for a sponsor of a participant who is graduating. Sponsors are listed on our website and are welcome to produce articles relating to their work in the water or environmental space which may be published in BRIDGING, the Peter Cullen Trust’s newsletter. Our Fellows receive ongoing mentoring from Friends when requested. Mentoring is offered. It is up to the Fellows themselves to follow this up. Other opportunities for professional development are also offered each year. Individual Fellows can approach the Trust on an ad hoc basis to request assistance from Friends of the Trust in developing a specific set of skills. Where possible, the Trust facilitates this individual skill development. “I have been on quite a few leadership courses during my career and I must say that the Science to Policy Leadership course is unique … (it has) taught me more about myself than all the other courses combined… it also challenged me to think about different styles of leadership and how I could lead more effectively.